Price listed is for each snap necklace. These measure approximately 20'' long. They have a snap pendant that measures about 1 5/8'' by 7/8''. 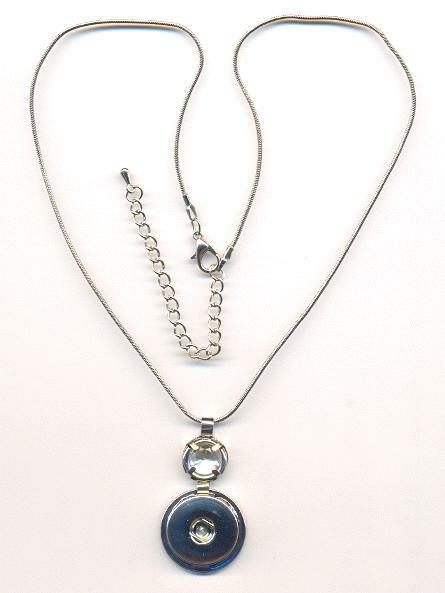 The pendant is made out of silver plated cast metal and they come on a silver plated snake chain with lobster clasp. 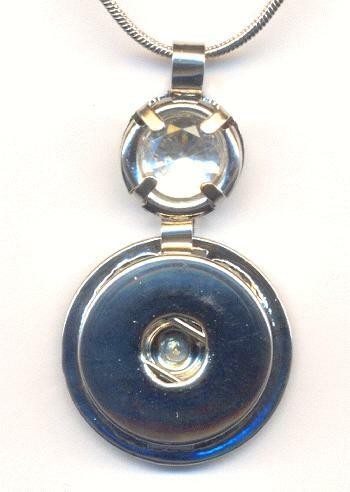 The pendant is embellished with aclear/crystal rhinestone above a 19mm snap center base. The center disc will accommodate an 18mm to 20mm snap. These only need a snap of your choice to be complete!